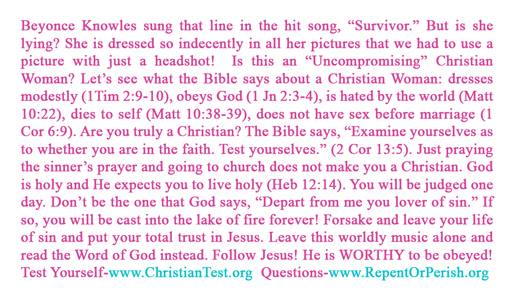 This is our second favorite tract to give out to young women only next to the "Beautiful" tract for young women. Since many recognize Beyonce, they relate to her. It is more convicting to her behavior so we usually choose to give the "Beautiful" tract at abortion mills and women's health care centers but everywhere else, we give the Beyonce's and the Beautiful pretty equally. 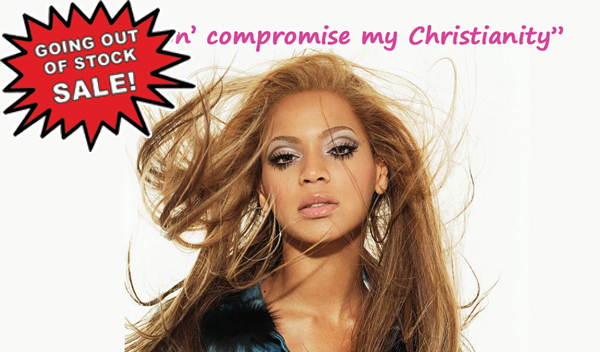 We have given out thousands of Beyonce tracts and highly recommend them. I'm engaged in personal evangelism in the Los Angeles inner city. This track is HIGHLY effective and extremely well received by female students outside of the local high school campuses. Beyonce is well known and esteemed by most of the young ladies and they readily accept the track. I like this tract because it's so current most people knows who Beyoncé is and it sure is another way to capture people's attention so I know people read them. I always pray as they read it the HS will convict them and lead them to CHRIST. Praise the Lord for your ministry. 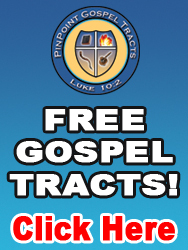 Buy Gospel Tracts > Really A Christian?